You are currently browsing the tag archive for the ‘Scarlett Johansson’ tag. A lot of things can go wrong, and often do, when making a comic book movie sequel. But gladly none of those things seem to be happening in Iron Man 2. Most comic book movies, namely the 1990’s Batman sequels, tend to find themselves spreading their stories ridiculously thin when adding way too many new characters to a storyline, but director Jon Favreau somehow manages to avoid this pitfall. Not only does Iron Man 2 work, but it also manages to do so while maintaining it’s fast pace, and it’s very well executed sense of storyline. Even with a handful of new characters being introduced, at no point does the audience, or the storyline for that matter, feel bogged-down by a bunch of origin story telling. I think Iron Man 2 should be the text book example of how to tell complex storylines to an audience without spoon feeding them at the same time. 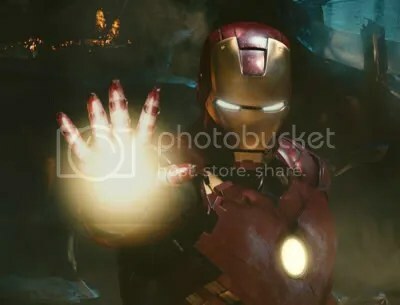 In Iron Man 2, Tony Stark, played by Robert Downey Jr., not only finds himself dealing with the U.S. Government wanting the ownership of the Iron Man weapon, but also the fact that the very thing saving his life, could very well be killing him at the same time. If that weren’t enough, the Avenger Initiative has also started to lose their faith in him as a proper hero, and begin to question his future role in the Initiative. Topping it all off, Stark finds himself paying for the sins of his father, and dealing with a new enemy known as Whiplash, masterfully played by Mickey Rourke. 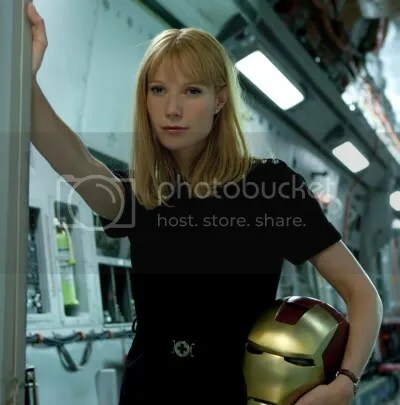 Now I figured with the addition of so many new characters, characters we’ve already met like Pepper Potts, played by Gwyneth Paltrow, would become secondary characters; making way for the new ones. But, I’m glad to say this wasn’t the case. Pepper’s character plays just as big of a role, if not bigger, in this film as she did in the first film. Also Don Cheadle’s replacement of Terrence Howard as Lt. Col. James Rhodes was seamless. 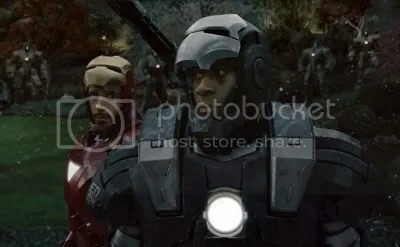 I really liked Cheadle’s choice to play Rhodey the exact same way that Howard did. It really made the role more about the character, and less about the actor playing the character, which is not something all actors would choose to do. Scarlett Johansson is well under played as the Black Widow, but in a good way. The movie doesn’t rely on her as new eye candy, but rather uses her as needed for the story, which is a refreshing change of pace for movies like this. Which brings us the show stealing performance of Sam Rockwell; I don’t know what else to say other than… Wow! He really does bring his ‘A’ game to his performance as Stark Industries’ rival competitor, Justin Hammer. You’ll see what I mean when you see it. That guy needs to work more! 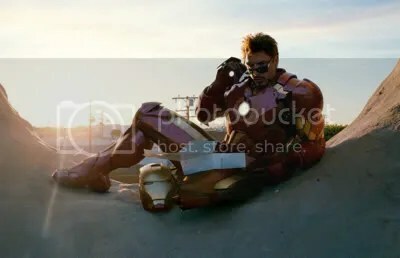 Last but not least, Robert Downey Jr. continues to effortlessly capture the essence of Tony Stark, a role he was clearly born to play. Is Iron Man 2 better than Iron Man? It’s hard to say. They’re two completely different movies. In the first Iron Man, there is this nice slow story pace that helps to ground the movie, but in Iron Man 2 you hit the ground running and it just feels right. With most sequels it’s easy to say which one is better, but with this one it’s truly is a continuation of the original movie, and feels like they are one and the same. Yes, I do realize that I just contradicted myself by saying they’re completely different and yet the same movie, but it’s true. I really hope all the other franchises out there are paying attention, because this is how it’s done. I think it’s safe to say that the 2010 season of summer movies is officially upon us, and the bar has been set very high thanks to Iron Man 2. Well, Comic Con has come and gone, but if you didn’t make it down to San Diego your old friend Darby is here to lay it all out for you. The one thing that seems to always be true about Comic Con, year after year, is the fact that it has less and less to do with comics each year. This year it was the teenie girls and their “Twilight: New Moon” that over ran the Con. The one thing I always hated about Comic Con is the standing in line for two hours to get a ticket so you can stand in line for three hours the next day; the whole time not being able to spend any time on the floor. The panels are the same story. Wait in line for hours for a panel and miss a bunch of events while sitting on the floor. The Con is amazing. It’s so much fun and I wouldn’t miss it for the world. But every year, I make a list of the things I want to do, and every year I get like two done if I’m lucky. So, here’s a run down of some of the events that went down at Comic Con this year. Some I got to see and others that I only got to hear about. 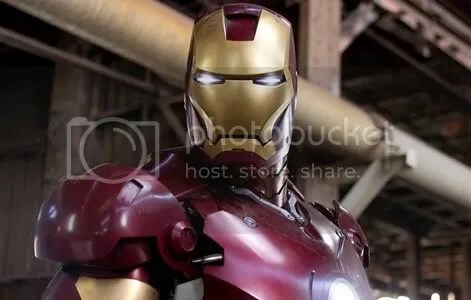 The buzz for the first “Iron Man” movie started at Comic Con. So even with production having only wrapped a week ago, nothing was going to stop Jon Favreau from sharing what he could with the fans at Comic Con this year. 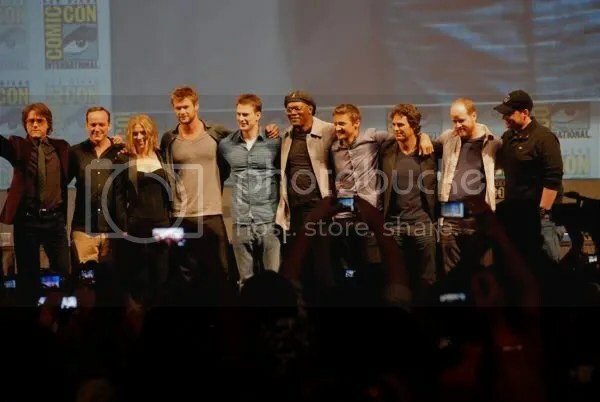 Appearing with Favreau on the panel was Robert Downey Jr., Scarlett Johansson, Don Cheadle, and Sam Rockwell. After the crowd sang “Happy Birthday” to Favreau’s son Max, they rolled the exclusive clip that introduced all the film’s new characters. 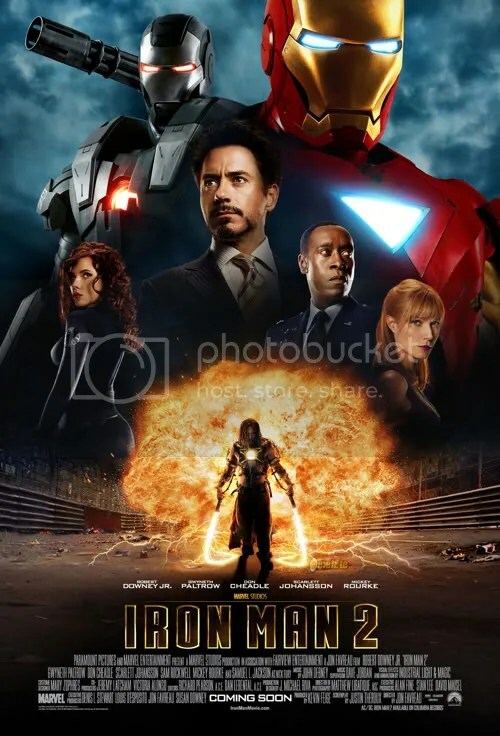 “Iron Man 2” will hit theaters in May of 2010. At the Saturday night screening of “Doctor Who: Planet of the Dead” and the 5th and final episode of “Torchwood: Children of Earth,” fans got a little bit more than they were expecting. Seth Rogen stopped by the Con to unveil the new Black Beauty, a modified 1965 Chrysler Crown Imperial that he’ll be cursing around in for the upcoming film. Tim Burton premiered the first trailer for “Alice in Wonderland” on Thursday at the Con, with a huge surprise visit from the Mad Hatter himself Johnny Depp. 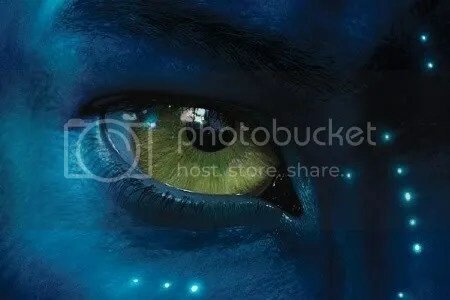 James Cameron makes up for his lame E3 appearance with over 20 minutes of footage from his already over hyped film “Avatar.” He also announced that fans worldwide would be able to see 15 minutes of the film for free, online on “Avatar Day,” which is August 21st. The film is set to open this year on December 18th. 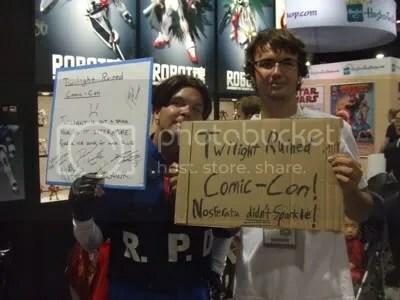 “Twilight” fangirls came by the thousands to Comic Con this year. Some would say it was the downfall of Comic Con this year. 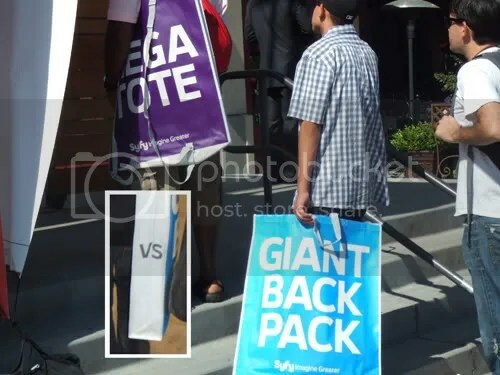 These two guys were walking the floor on late Sunday with signs to show their displease of the upcoming film’s presences this year. Some of the fangirls stayed two nights outside the convention center waiting in line to attend the “Twilight” panel on Thursday. This was truly the craziness of this year’s Con. There’s always one thing at the Con that you can’t get away from, and you at times just wish would go away. This year it was most definitely “Twilight.” It’s hard to explain. It’s like a high school click. Comic Con is geek’s paradise, and this year the popular cheerleaders stormed the gates and stole the show. “Twilight” seems like the kind of thing that would fit in at the Con, but it really just seemed to overpower everything around it. 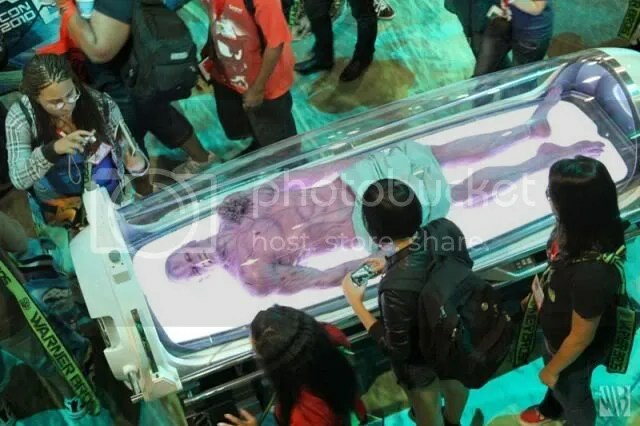 For the last six years Hollywood has been taking over Comic Con, but this is like the Jonas Brothers performing on the center of the convention floor. 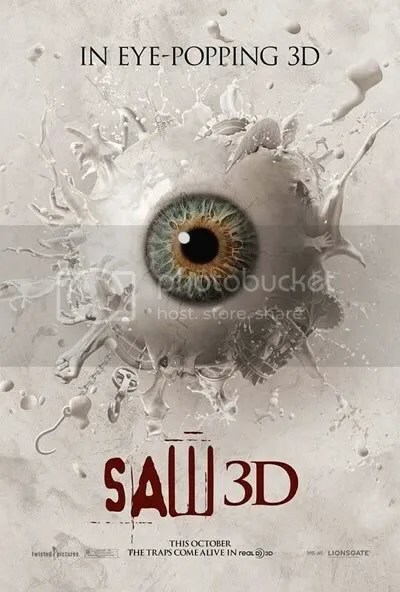 The almost canceled series had a screening of the unaired thirteenth episode, which can also be found on the “Dollhouse” Season One DVD set. Look for my “Dollhouse” DVD review here soon. This was probably one of the best panels of the Con. Wayne has already done a write up on this so I’ll just redirect you there. Click Here! Peter Jackson talked a little bit about the upcoming project. 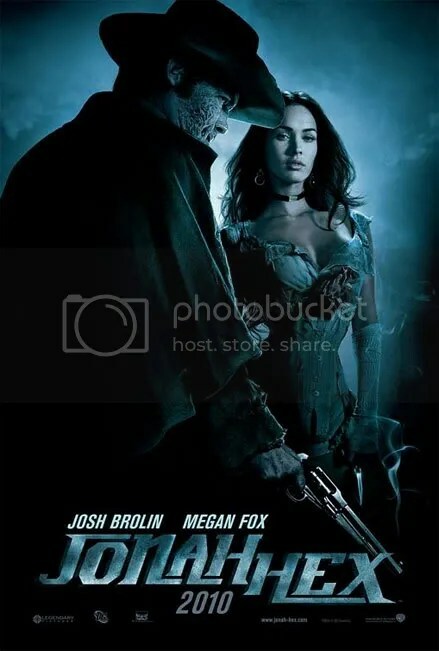 The next DC Comic film, starring Josh Brolin and Megan Fox, was premiered by the new teaser trailer. The new teaser poster was unveiled as well. I cannot wait to see this movie! 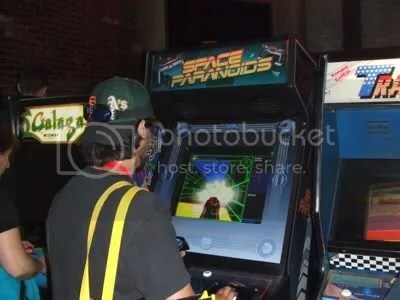 Last but not least… The long awaited “Tron” sequel “Tron: Legacy.” A scavenger hunt sent convention goes around downtown San Diego, and finally brought them to their final destination, a marvelously reconstructed 1980’s arcade, called Flynn’s Arcade! They actually had Flynn’s Arcade tokens! I know! 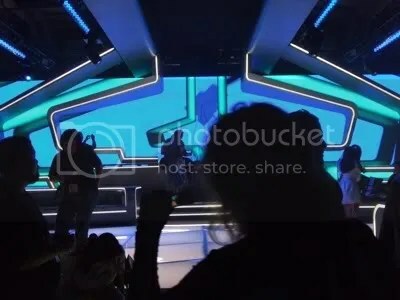 They also unveiled the first teaser trailer. I for one cannot wait! 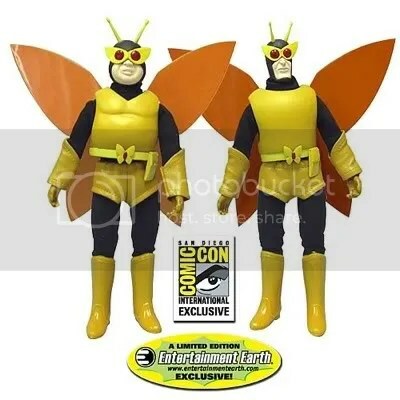 This is the one I really wanted, but sadly it sold out by the time I stood in line for a ticket to stand in line for a figure. 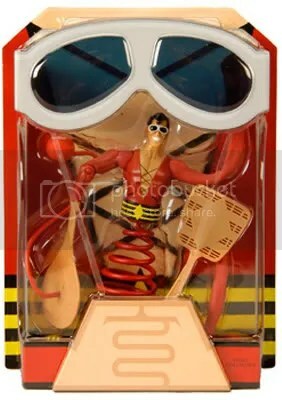 These DC Universe figures are so cool. I love that they make figures for the secondary characters. 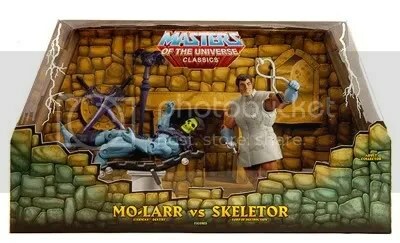 I can’t wait for the upcoming Question figure. 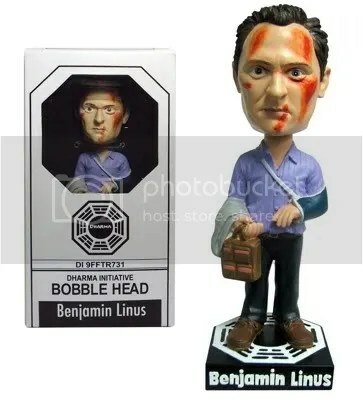 This beaten up Michael Emerson bobble head is so cool. The likeness is uncanny. 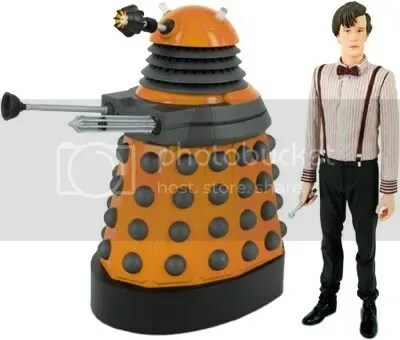 Okay, I’m a huge “Doctor Who” fan, and I love the figures, but there just always seems to be just too many of them to buy at the Con. This year there were five, all between twenty and forty dollars, mostly forty. I’m sorry, six figures if you count the Captain Jack Harkness Torchwood figure. 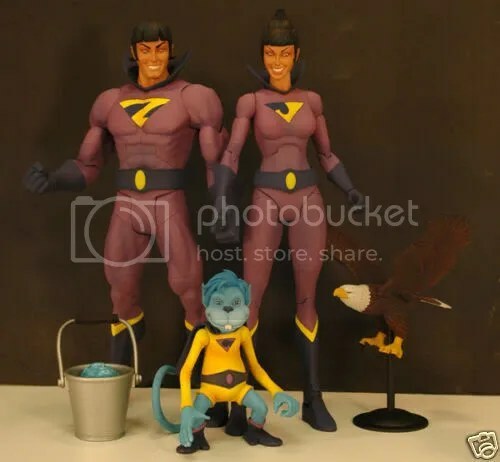 I wish they would just make one exclusive figure each year. 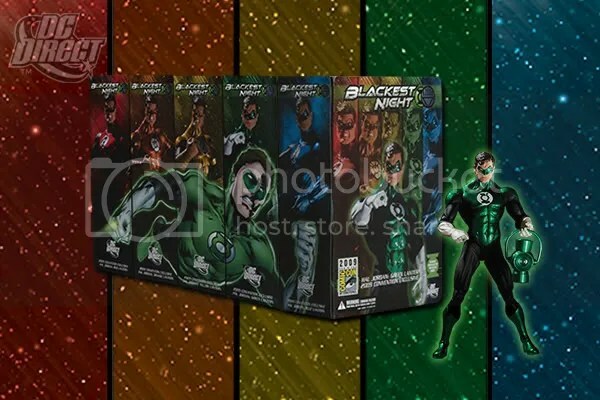 I would buy that figure every year, but I’m not going to spend over two hundred dollars at one booth. One last thing, before heading back to L.A. 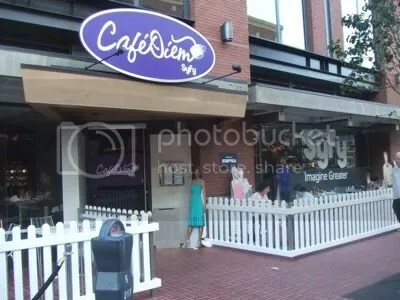 I stopped in Eureka to have dinner at Café Diem. Well, that does it for this year. Comic Con will be July 22nd to the 25th next year, so start making plans now.